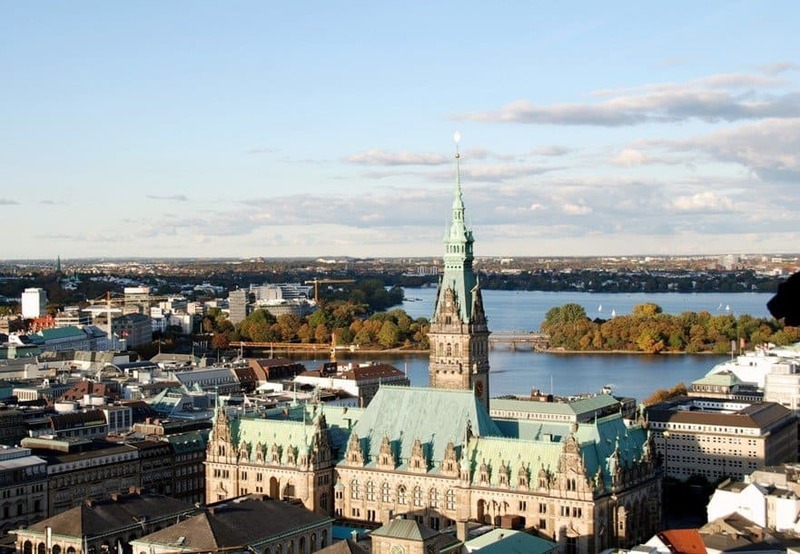 You would like to see Hamburg through the eyes of a local? 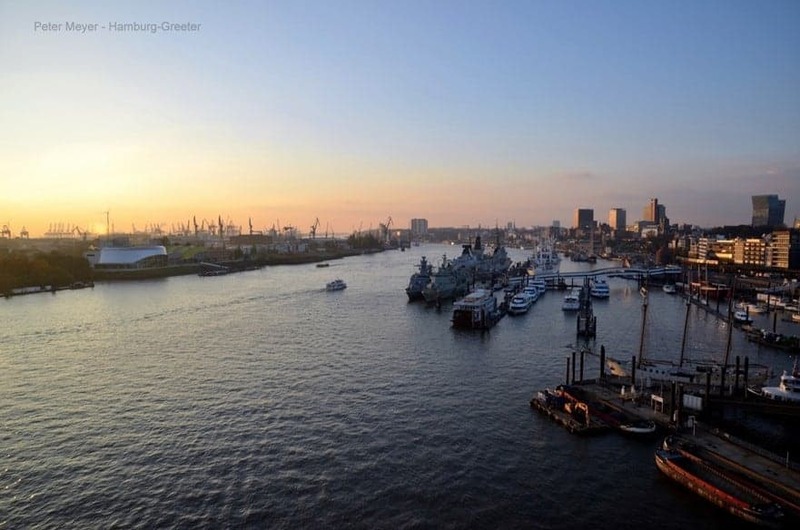 You would like to know what it is like to live in Hamburg? We Hamburg Greeters accompany single guests and groups of up to 6 people and show them our hometown with all its many facets. We love our city und offer our guests an insight into Hamburg’s workaday life and into our own living environment – free of any charge as is customary among friends. Greeter programs support sustainable tourism. Programs respect natural and man-made environments, it brings both cultural and economical enrichment to the local communities. Programs aim for a lasting positive image of each destination. https://www.hamburg-greeter.de/wp-content/uploads/2018/07/84969065876C4674BC03DBB08B27B732.jpg 584 881 Meike Delfs-Kaase https://www.hamburg-greeter.de/wp-content/uploads/2016/04/Logo_t5_claim_en.png Meike Delfs-Kaase2019-01-04 17:25:502019-01-04 17:26:14Good News from Brussels! https://www.hamburg-greeter.de/wp-content/uploads/2018/07/632A83ECB6AD4C8BABF8F0FA90498986.jpg 610 881 Meike Delfs-Kaase https://www.hamburg-greeter.de/wp-content/uploads/2016/04/Logo_t5_claim_en.png Meike Delfs-Kaase2019-01-03 10:53:442019-01-03 11:04:41An excellent guide! https://www.hamburg-greeter.de/wp-content/uploads/2018/08/IMG_1013.jpg 1024 768 Meike Delfs-Kaase https://www.hamburg-greeter.de/wp-content/uploads/2016/04/Logo_t5_claim_en.png Meike Delfs-Kaase2018-08-22 07:34:532018-08-22 07:35:28Hervorragend! Gudrun - highlight of our tour! https://www.hamburg-greeter.de/wp-content/uploads/2017/10/HH-Greeter_0001_sw_300.jpg 304 300 Meike Delfs-Kaase https://www.hamburg-greeter.de/wp-content/uploads/2016/04/Logo_t5_claim_en.png Meike Delfs-Kaase2018-07-10 08:04:172018-07-10 08:04:17Gudrun - highlight of our tour! https://www.hamburg-greeter.de/wp-content/uploads/2017/02/Hamburg_Dummy-09.jpg 800 1207 Meike Delfs-Kaase https://www.hamburg-greeter.de/wp-content/uploads/2016/04/Logo_t5_claim_en.png Meike Delfs-Kaase2018-06-25 06:58:092018-06-25 06:58:17Thank you Gordon! A wonderful way to experience authentic Hamburg! https://www.hamburg-greeter.de/wp-content/uploads/2017/06/Feedback-11.jpg 1200 642 Meike Delfs-Kaase https://www.hamburg-greeter.de/wp-content/uploads/2016/04/Logo_t5_claim_en.png Meike Delfs-Kaase2018-06-23 06:44:502018-06-23 06:45:23A wonderful way to experience authentic Hamburg! A fantastic ambassador for a fantastic city! https://www.hamburg-greeter.de/wp-content/uploads/2018/01/IMG_0162-e1514896531907.jpg 2000 1500 admin_klaus https://www.hamburg-greeter.de/wp-content/uploads/2016/04/Logo_t5_claim_en.png admin_klaus2018-01-02 12:48:162018-01-02 13:39:37A fantastic ambassador for a fantastic city! https://www.hamburg-greeter.de/wp-content/uploads/2017/10/HH-Greeter_0001_sw_300.jpg 304 300 Meike Delfs-Kaase https://www.hamburg-greeter.de/wp-content/uploads/2016/04/Logo_t5_claim_en.png Meike Delfs-Kaase2017-12-13 08:17:102018-01-02 13:59:56Marvelous Marlis! https://www.hamburg-greeter.de/wp-content/uploads/2017/06/Feedback-05.jpg 800 533 Meike Delfs-Kaase https://www.hamburg-greeter.de/wp-content/uploads/2016/04/Logo_t5_claim_en.png Meike Delfs-Kaase2017-09-05 12:59:192018-01-02 14:12:12Hamburg, what an experience! https://www.hamburg-greeter.de/wp-content/uploads/2017/03/gORDON.jpg 1125 1500 Meike Delfs-Kaase https://www.hamburg-greeter.de/wp-content/uploads/2016/04/Logo_t5_claim_en.png Meike Delfs-Kaase2017-03-09 16:08:282018-01-02 14:04:13Great Gordon! A wonderful day with a wonderful end. https://www.hamburg-greeter.de/wp-content/uploads/2017/02/IMG_2136-4.jpg 1125 1500 Meike Delfs-Kaase https://www.hamburg-greeter.de/wp-content/uploads/2016/04/Logo_t5_claim_en.png Meike Delfs-Kaase2017-02-12 09:08:292017-02-11 09:43:41A wonderful day with a wonderful end. 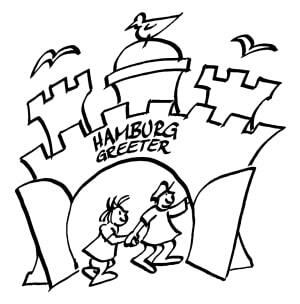 https://www.hamburg-greeter.de/wp-content/uploads/2016/10/581243b0ca0aa.jpeg 800 1200 Meike Delfs-Kaase https://www.hamburg-greeter.de/wp-content/uploads/2016/04/Logo_t5_claim_en.png Meike Delfs-Kaase2016-10-31 08:09:332016-11-21 21:01:44Hamburg, the way to go! This is my first time in Europe, and definitely one that would go a long way in my memories ahead. I met up with Stefan at the Baumwall train station instead of the supposed meeting point (yeap I lost my way after the city tour). Stefan was more than helpful throughout the greeter tour and I enjoyed my conversations with him tremendously. We explored much of the harbour as well as the infamous Reeperbahn. Hamburg is a beautiful city, but what's more that impressed me were the people of Hamburg. It definitely was a pleasant experience, and I would highly recommend this to anyone who enjoys an informative tour, as well as a good conversation over a cup of Glühwein (hot spiced red wine). The name „Greeter“ derives from the English word “to greet”. Greeters welcome guests and take them on individual Greets through the city – without charge. The Greeter concept was first initiated and developed in New York by Lynn Brooks in 1992, then it was known as “Big Apple Greeters”. Meanwhile the idea has gained more and more friends – both Greeters and guests. Hamburg Greeters came into being in the Spring of 2012. At our Greets, inquisitive guests meet up with dedicated Hamburg folks. We Greeters love our hometown and we like to give you an insight into our personal lives in Hamburg. We accompany you through the city – entirely free of charge, as is customary among friends. You will experience very personal and individual walkabouts and you will hear about our workaday lives. We do not offer you a complete sightseeing-tour to tourist-attractions, but we can tell you where you can get those. Here you can read what happens on a Greet. And here you find the request form for a new Greeter. Please contact us at least two weeks before your arrival in Hamburg, preferably even sooner. We will be glad to find a Greeter for you who meets with your special requirements. It may be even more exciting for you if you let your Greeter surprise you with his or her own ideas. Each Greeter endeavours to plan your walkabout in an individual manner. You meet at an agreed place and start your two to three hour exploration through Hamburg – either on foot, by bike or by public transport. A Greeter will always try to meet your personal wishes. However, particular expectations and “orders” are cases for professional guides. You can request a Greet using our application form! Our walks of two to three hours are adjusted to the special interests of our guests. We Greeters are volunteers and offer our service when it seems a “good match” and we “feel like it”. We meet our guests at eye level and try to take their background into account. In that way, guests may become friends. Please note: A Greet is not a guided tour of the city. A Greet cannot simply be “booked”. A Greet is free of charge. We enjoy getting to know you und showing you our hometown. We do appreciate a donation towards our costs, though. How to request a Greet. You use our application form. The distribution team sends your request to all Greeters on the list. When a Greeter feels that a request “fits”, he or she tells the distribution team. They then give that Greeter’s mail-address to the guest. From then on guest and Greeter make their own personal arrangements (time, place, suggestions etc.). In the rare case that no Greeter is available, we unfortunately have to turn down the request. How do guest and Greeter meet? All Greeters are volunteers. They want to look after their guests in an individual manner when they show them their city – just as they would do with personal friends. So a group should not exceed 6 people who should all know each other. How can I ask for a Greet? This is a large lively district. Along Mühlenkamp,”Little Fifth Avenue”, there are cafés and shops for every taste. A focal point is the Stadtpark with its landmark, the Planetarium. This is the largest recreation ground of the city with an outside swimming pool and an open-air stage. The Alster-lake, the Alster-river and beautiful townhouses border the area.